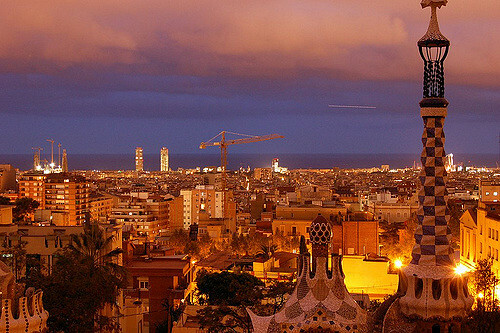 All about the NIGHT PHOTOGRAPHY IN BARCELONA PHOTO TOUR. Considering Barcelona only related to modernism could sounds a bit reducing and mainstream, but indeed, talented and visionaries artists and architects offered their genius and artistic vision to Barcelona, transforming the city and its structure from an old gothic gem into a modern, elegant and charming city. The love of the city for this artistic movement has always been really deep and it is not hard to find examples on different corners. Together with the strong socio-ideological creed of Catalan culture, Modernism contributes in shaping Barcelona and its unique character. This cultural tendency, expressed mainly towards architectonical elements, had its center here, where artists like Antoni Gaudí, Domènech i Montaner and Puig i Cadafalch created works recognized by UNESCO as World Cultural Heritage. 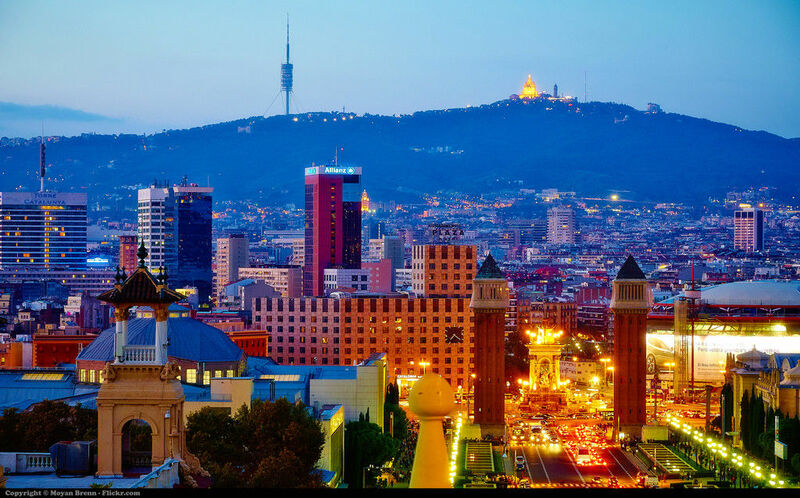 The modernist architectonical elements you will discover in Barcelona will undoubtedly conquer you on daytime for their colors and shapes, but they will definitively steal your heart on nighttime, when illuminated by warm lights. Follow our master photographer on this photo tour, and thanks to his insider tips you will have the opportunity to shot these masterpieces of the modernist architects from incredible perspectives, deepen on the same time aspects like ISO, exposure, shutter speed and composition during low light conditions moments. Thanks to our professional photographer you will improve your technique, fully understanding the perfect functioning and conditions of your camera. 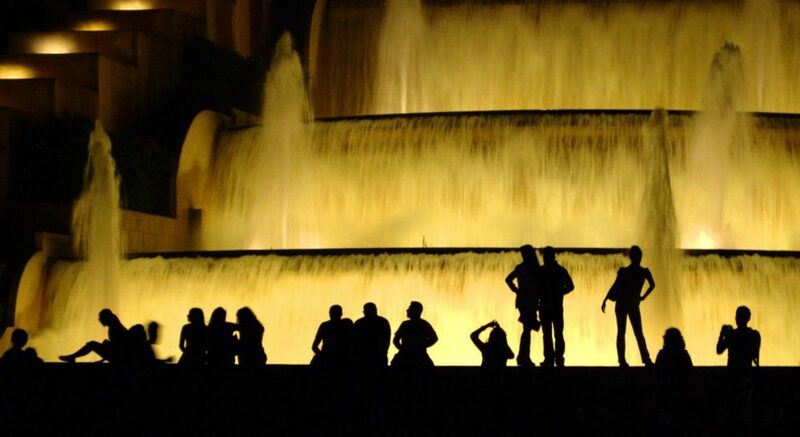 Let the creativity inspire you and bring your photo up to the limits, experiencing the charming Barcelona illuminated by fascinating and attractive lights of the night. The setting of the sun and onset of the night, allow unique light conditions, and together with these come great opportunities to try peculiar photographic techniques. Though, nighttime landscapes and lights are among the hardest elements to portray, for this reason a professional photographer could come in hand. Join us on this short workshop and improve your technique directly on the field thanks to the advices and instructions of a master photographer. With museums, gardens, parks and shops closed, the city has a completely different aspect. 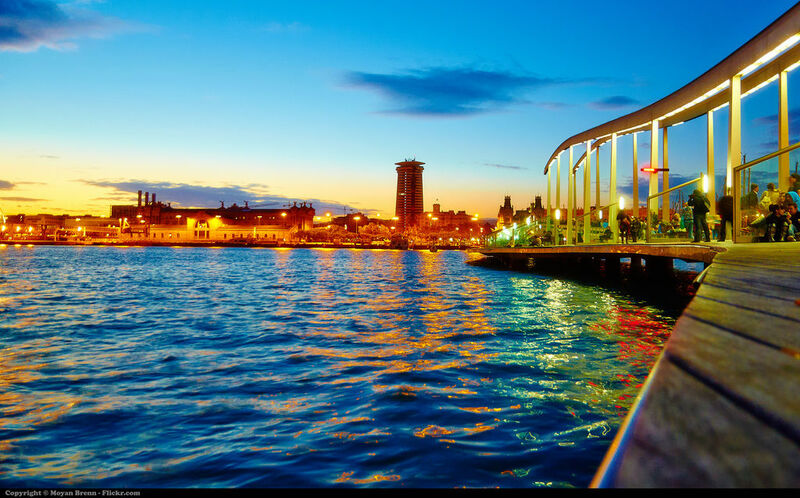 Discover it and get inspired by a city juiced up by voices, people, sounds, night colors, music, wind and the water of the sea crashing on the shores. Follow us and look for your perfect shot! The former hospital of the Holy Cross and Saint Paul was built between 1901 and 1930 by the Catalan architect Lluis Domènech i Montaner. The pavilions are richly decorated and the structure is highly fascinating even from the outside. The church, which built started over 100 years ago, is still an open air building site. The Sagrada Familia (Church of the Holy Family), thanks to its peaks and architectonical elements is worldwide renowned and considered a symbol of the city. The real name of this building is Casa Terrades, though it is popular by the name Casa de las Punxes (literally home of the spurs) for its extremely sharp peaks, which are its main modernist elements. 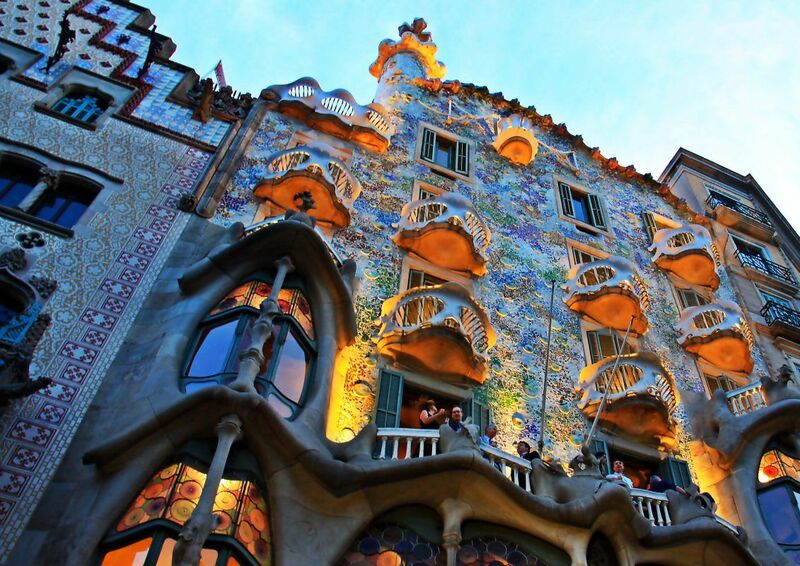 Also kown as la Pedrera, the building is among the most famous realized by Gaudí. Particularly fascinating for its external structure that recalls a curvy cliff, interiors and rooftops are also attractive. From the outside it is possible to admire the wrought-iron balconies and gates that worth more than one picture. The Tàpies foundation is a cultural center that hosts works and artistic production mainly related to the artist Antoni Tàpies. Founded by him originally to host the publishing house of the family, it now promotes the study and comprehension of modern and contemporary art. Particularly interesting from the outside is the roof, realized by Tàpies, that show a twine of aluminum cables with a chair on the top. As for other buildings of Gaudí, nature has big importance in the interpretation of the façade of the Casa Battló. Many critics and academics consider the various elements deriving from nature (bons, trunks, flowers and waves...); the structure is particularly interesting even in all its completeness, including the roof that recall a marine monster and the representation of a dragon. Next to the Casa Battló rises this building, realized at the end of XIX century by Puig i Cadafalch. What is really interesting, apart from the structure, are the small details that represent some interests of the customer, in particular small animals, among which little mice taking pictures. 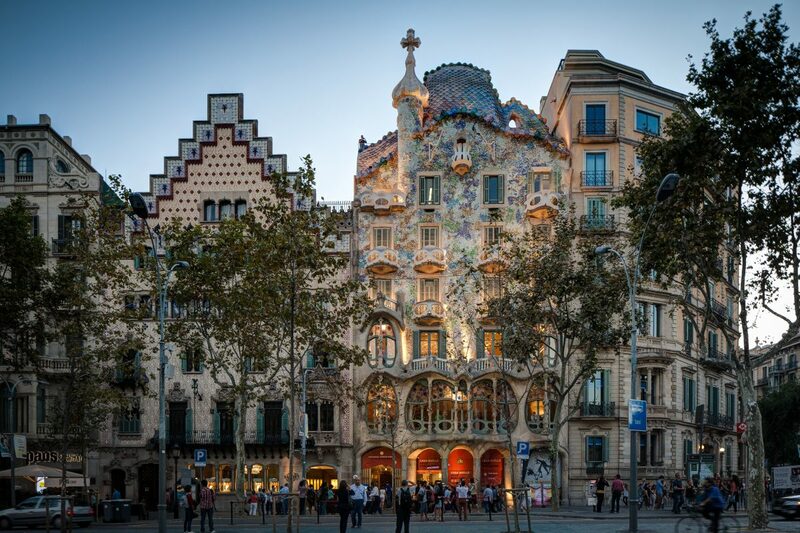 The Catalan Modernism is here represented in a more floral form, and together with the Casa Battló and Casa Amatller, this house, rising on the side of the latter, form the so called manzana de la discordia (Block of Discord). This concert hall has rich decoration on the façade that refers to several elements including traditional Spanish and Arabic architecture. The mass sculptural group and the columns, covered with multicolored glazed are particularly stunning. The Güell Palace was realized by Gaudí between 1886 and 1888. The parabolic arch and the intricate patterns of the wrought-iron gates are peculiar elements of the Modernist cultural trend, as well as the colorful chimneys on the roof top. 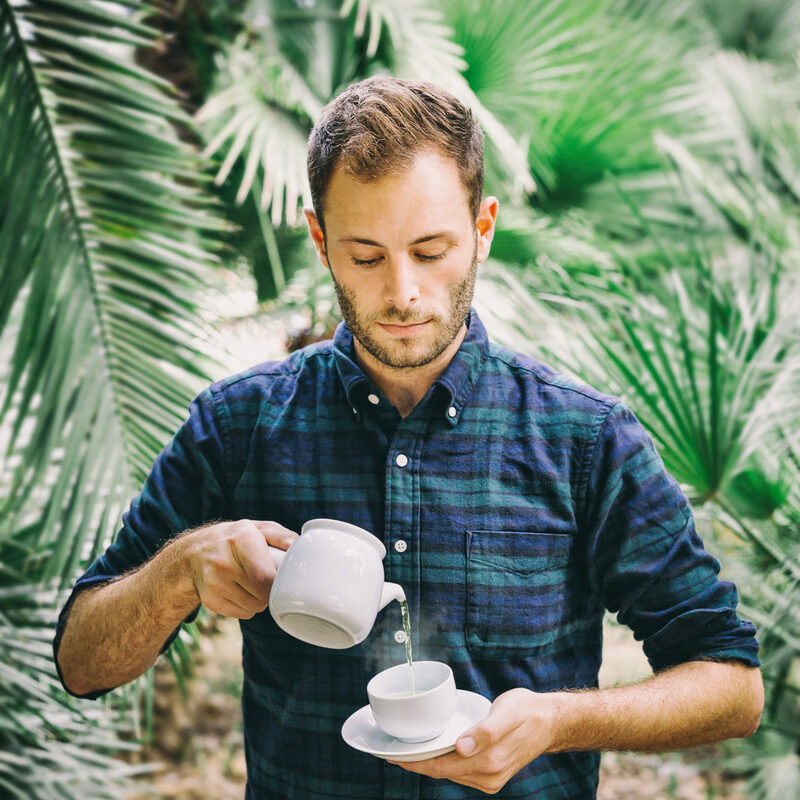 Particularly focused on food photography he also appreciates portraits and landscapes as subjects for his pictures. He defines is photography simple and touching and he considers Barcelona the perfect playground to enjoy and develop his skills. I live in Barcelona and it still is really one of my favourite places to photograph in the world so far.